Alya Howe, curator of Writ Large, with two of the storytellers involved in the current iteration at True Nature on Saturday night, Genevieve Villamizar and Patrick Curry. 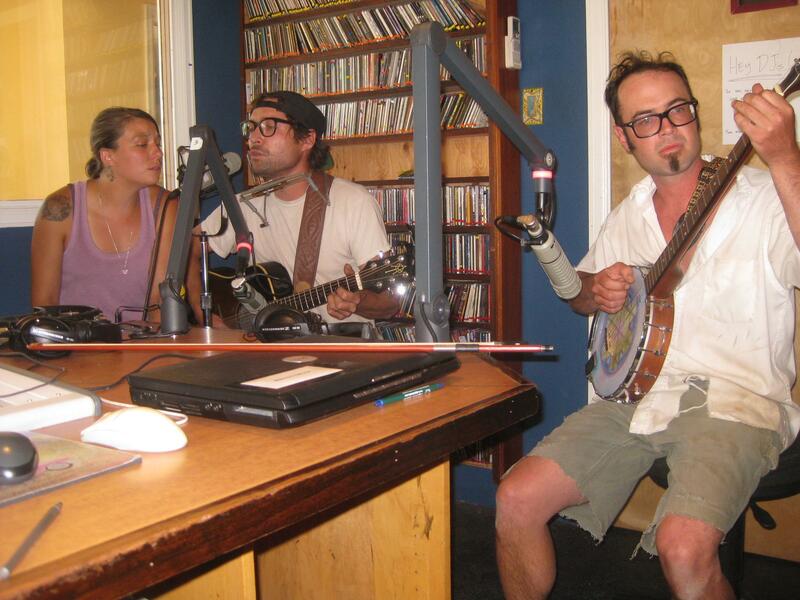 Then Sloan Shoemaker and Justin Patrick of Wilderness Workshop about this weekend's Wildfest. The local Americana band Callin' Old Souls, comprising William Steindler, Kenna Crampton and Cody Lee, play two original tunes, Uncle Ray and The Devil and the Mare. Callin' Old Souls play the Nugget on July 5.